If you've walked 1000 miles we're sure you feel the reward in your sunny thoughts and your firm, brown legs. 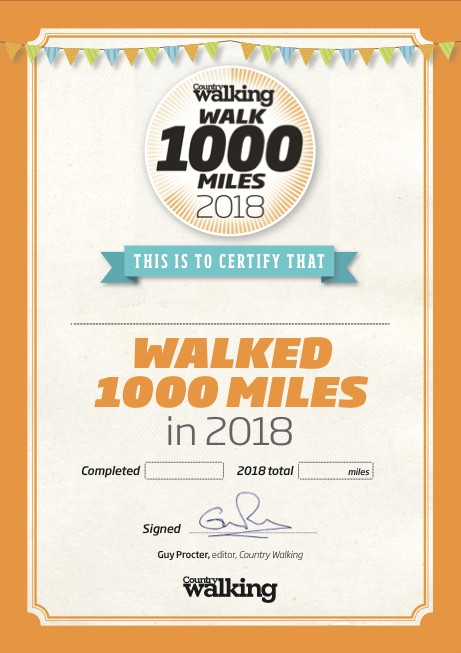 But just in case anyone in your social circle has failed to notice your achievement, here's a certificate you can print off, brandish in a prideful status photo and then stick up in the downstairs loo! Click on the image to download a high-quality printable PDF of the certificate (2.7MB). Done 500 miles? Download & Print your certificate now! Share your whoop on FB!